Upload flash file. Copy following code. Change highlighted sections. 4. 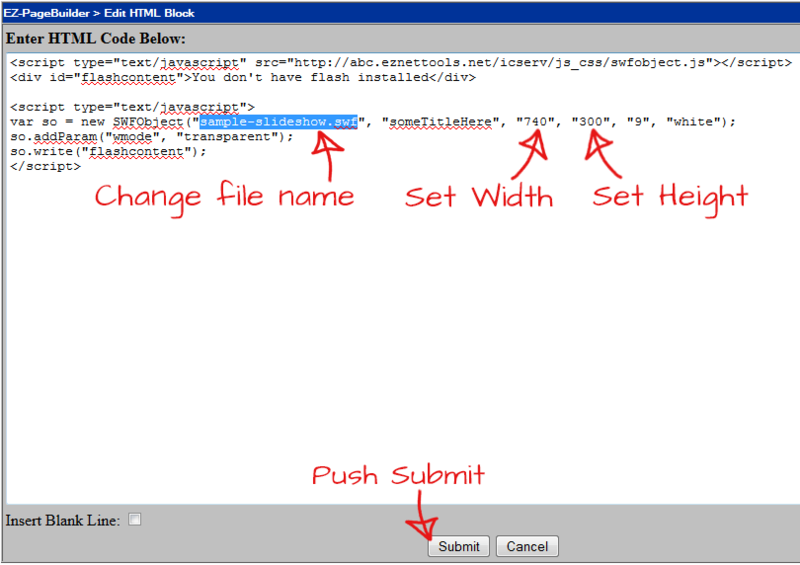 (Optional) Put fallback contend for devices that don't support flash. 3. 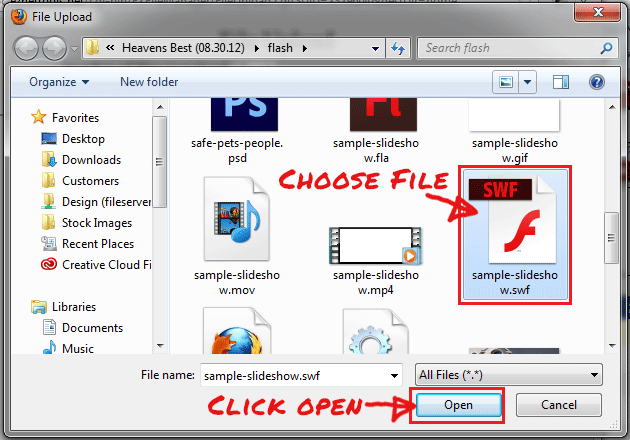 Find your SWF file (the flash file) and click Open. 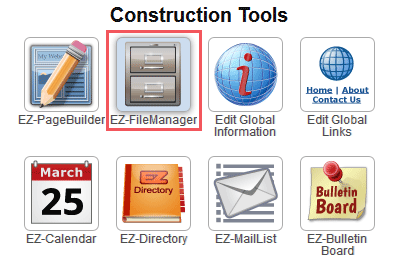 Now that your file is uploaded we just need to add it to a page. 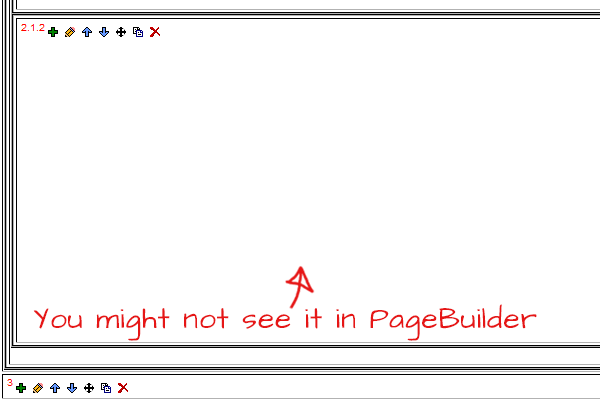 Find the page you want to place the file and then do the following. 1. Add a new block. 4. 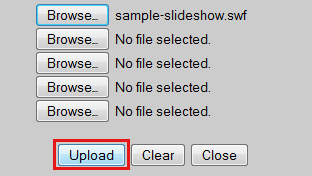 Change the file name to your file. 5. Set the width and height as shown below. 7. You might not see the flash right away. Don't worry, it's probably working. We just need to preview it. 9. You should now see your flash playing. My flash doesn't show up, even on preview current? 1. 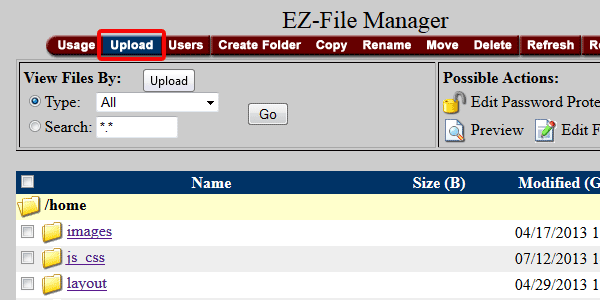 Check to make sure your file is spelled correctly. It's case sensitive, so make sure your capital and lower case letters match. 2. 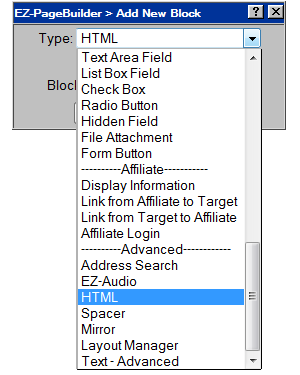 Make sure your SWF file is in the same directory as your webpage. 3. Try adding an absolute link. 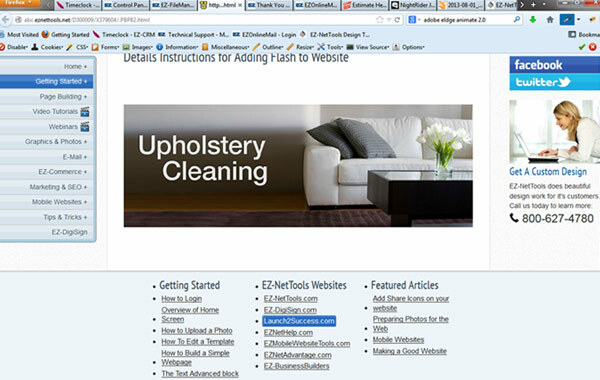 For example: http://eznetu.com/sample-slideshow.swf instead of just sample-slideshow.swf.